Christmas Gift Catch-Up. Purses for Nieces! Phew! 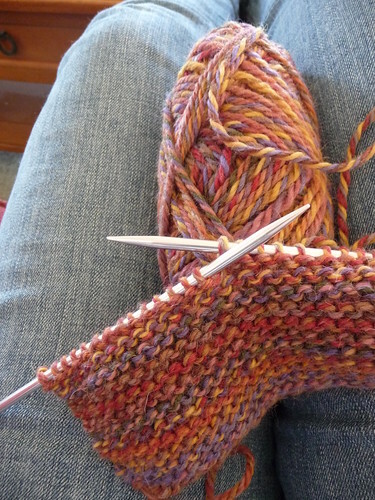 I'm still catching up from a huge back-log of knit things to share with you all. I'll start with the oldest for now. 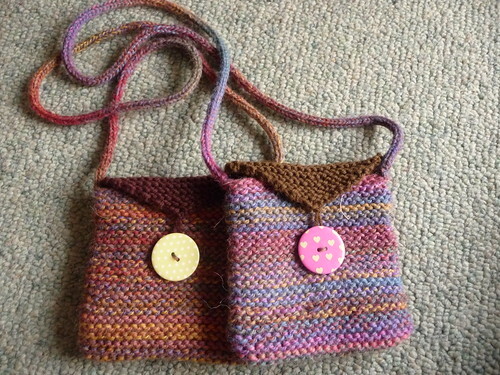 For my two nieces, this year, I made them each a little knit purse of their own. 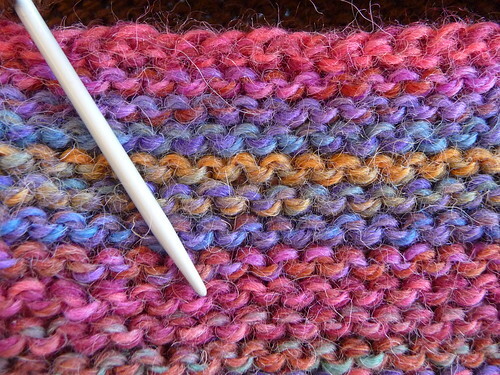 The pattern was very basic, and I just kind of made it up as I went along. 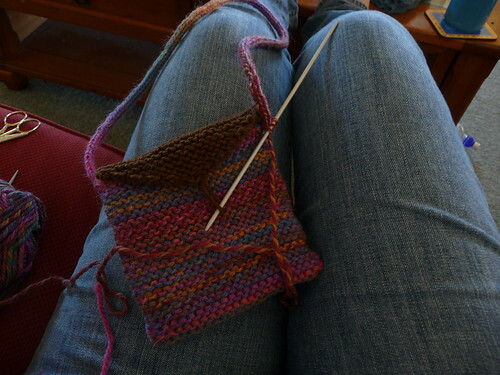 I started off with a knit rectangle of fabric. And then decreased down to a triangular clasp with a contrasting colour of yarn. 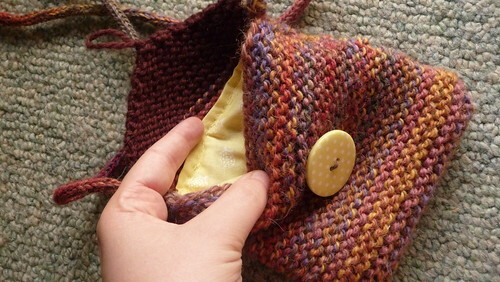 I sewed the sides together to make it a pouch and then knit an i-chord for the strap. 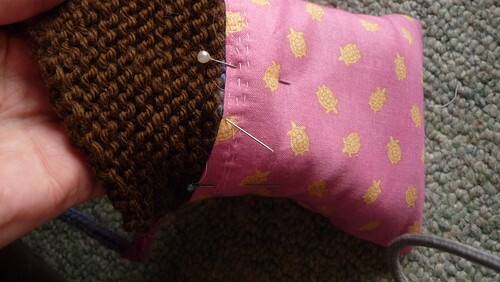 For some extra fun and stability I decided to have a go at lining the purses with some cotton fabric. And finished them off with a large, brightly coloured button for a clasp! Done! The hardest part, honestly was figuring out which colour to give to which girl. 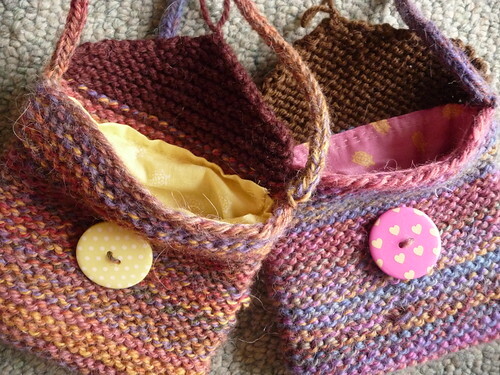 It may have taken a day, tops, to make each purse. Thanks! The girls loved them too.